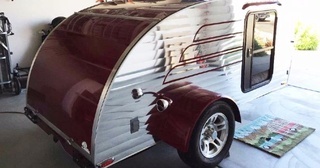 Our latest teardrop trailer is retro done right. This shiny silver model was built by a company in Michigan called Classic Customs. Every part of the trailer has something unique about it, but there's one element in particular that will have you dying to buy it. 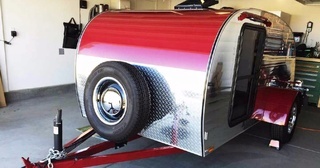 Although it was built in Michigan, this traveling trailer has made its way to Menifee, California. It is used, but it's only been around since 2015, and it looks like it's still in tip-top shape. Broad red accents were added to give the exterior a bit more flare. There's room enough on the front of the trailer for a spare tire should you need it. It's one less thing you'll have to attach to your vehicle. 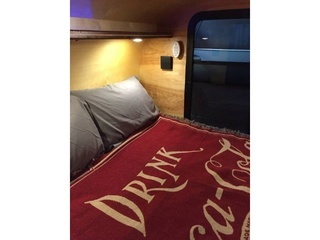 Inside, a queen-sized bed with a nostalgic Coca-Cola blanket takes up all the floor space. 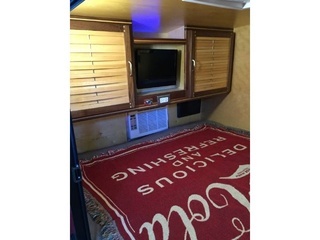 Don't worry – the trailer still has a small kitchen area, but we'll get to that in a minute. Opposite the bed is a TV set and heating/cooling controls for the fan above the bed. You'll experience a blast from the past when you open this trailer's trunk. This is where the custom work really shines. 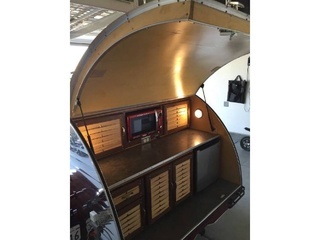 You can see that the cabinets are all handmade and fitted perfectly to the trunk. 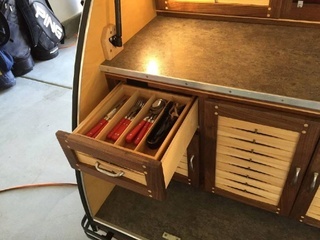 All the drawer space you could ever need is found here. 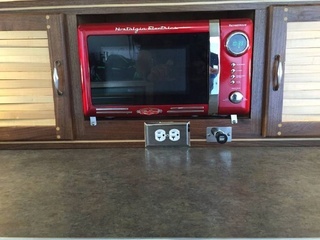 The microwave is from a company called Nostalgia Electrics. The company specializes in electronics and appliances with a retro style from the late 19th century to the middle of the 20th century. Frozen foods can be kept in the Igloo cooler just under the counter space. 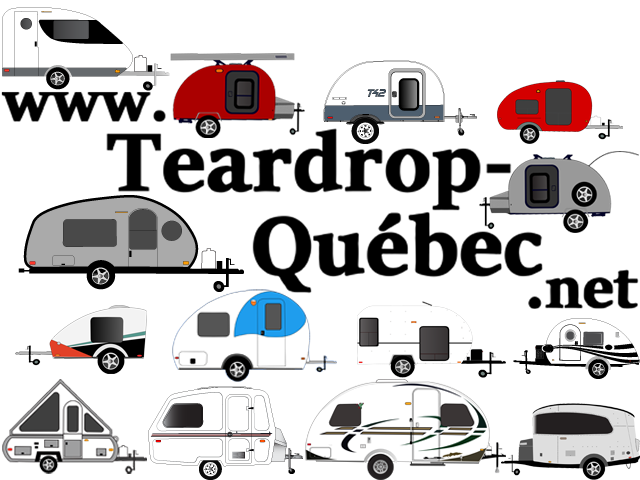 If you thought this retro trailer was groovy, share it with your friends on Facebook and Twitter.Make sure to like our Teardrop Trailers Facebook page to see more models like this one.